Why should we explore methods of reforestation? Approximately 80% of central america’s vegetation has disappeared. This has consequence on the regions’s biodiversity which is not able to survive. (Dorgay, et. 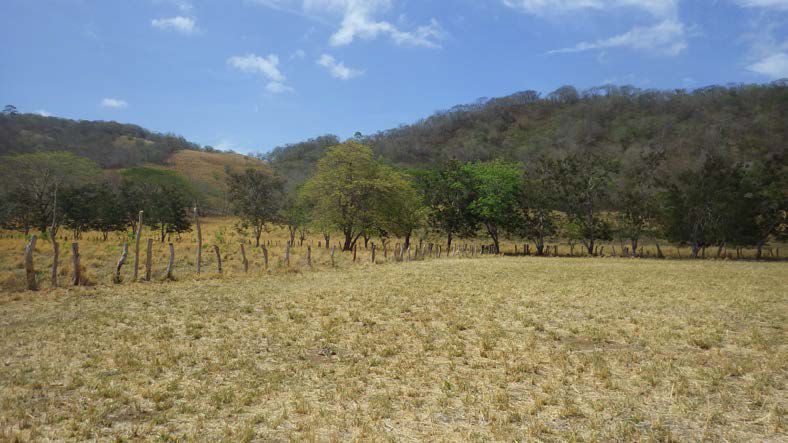 al., 2016) Luckily a non-profit organization Paso Pacifico tries to find solutions for re-forestation such as tree planting and the concept of living fence rows. (Dorgay, et. al., 2016) These tree fence rows act as boundaries and also are beneficial to animals and insects. They act as support to flying animals such as birds. The living fence rows can also act as shade and refuge to animals. (Dorgay, et. al., 2016) The rows can be composed of living trees as shown in the picture. Living and dead fence rows, Nicaragua forest site.